Since its North American debut in 1994, the Subaru Outback has seen an incredible amount of success. More specifically, every single generation of the Outback has been a hit among American shoppers. Of course, the 2019 model is no different. 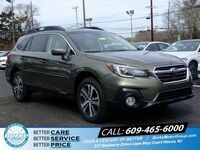 Likewise, every trim grade of the 2019 Subaru Outback is an excellent value. As such, choosing a model can prove quite the challenge. 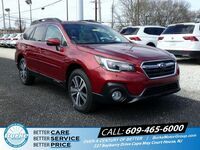 That’s precisely why our team at Burke Motor Group has come up with this in-depth 2019 Subaru Outback trim levels comparison. 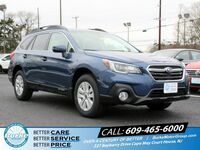 For starters, all 2.5i models of the 2019 Outback come with a 2.5-liter four-cylinder engine that generates up to 175 horsepower and 174 pound-feet. Meanwhile, all 3.6R models are awoken by a 3.6-liter flat-six engine that produces up to 256 horsepower and 247 pound-feet of torque. 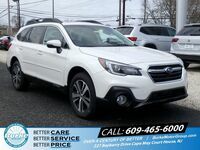 Beyond their engines, the biggest differences between the 2019 Subaru Outback trim levels are their features and technology systems. 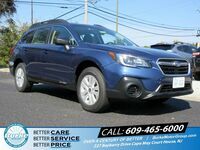 So, what are the standard features in each 2019 Subaru Outback trim grade? 2.5i – Standard features include Bluetooth®, Apple CarPlay™, Android Auto™, an extensive host of EyeSight® driver-assistance systems, a 6.5-inch touchscreen interface, roof rails with integrated crossbars, the 2.5-liter engine, a rearview camera, and a 60/40-split folding rear seat. Starting MSRP is $26,345. 2.5i Premium – Added features include an upgraded eight-inch touchscreen interface, dual-zone automatic climate control, rear privacy glass, heated exterior mirrors, a leather-wrapped steering wheel, a windshield wiper de-icer, fog lights, a power-adjustable driver seat, satellite radio, heated front seats, a cargo cover, and three additional USB ports. Starting MSRP is $28,445. 2.5i Limited – Added features include a premium 12-speaker sound system, keyless ignition and entry, leather upholstery, heated rear seats, blind-spot monitoring, and a power liftgate. Starting MSRP is $32,845. 2.5i Touring – Added features include premium leather upholstery, woodgrain interior trim, exclusive 18-inch wheels, a heated steering wheel, fixed low-profile roof rails without crossbars, and a dark exterior trim. Starting MSRP is $36,795. 3.6R Limited – Matches the features in the 2.5i Limited and adds the 3.6-liter engine. Starting MSRP is $34,995. 3.6R Touring – Matches the features in the 2.5i Touring and adds the 3.6-liter engine. Starting MSRP is $38,995. 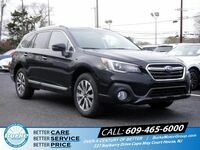 Interested in a 2019 Subaru Outback?